Today I challenged myself to come up with as many blog post ideas about beauty as I could in 30 minutes, so I could give back to the beauty blogger community! I'm not a huge fan of giving away too much personal info online, so I recommend an 80/20 split between informative posts that help your reader solve a problem and fewer of the “get to know me” posts. 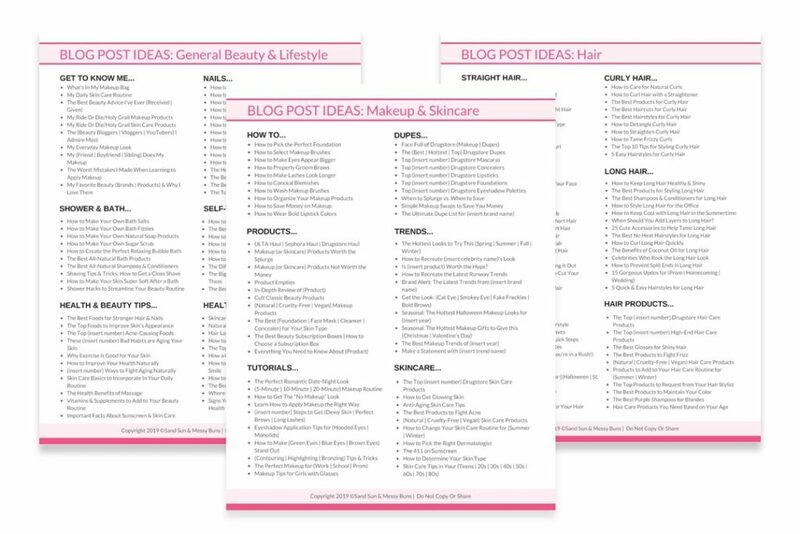 With that in mind, here's a huge list of blog post ideas beauty addicts will love! 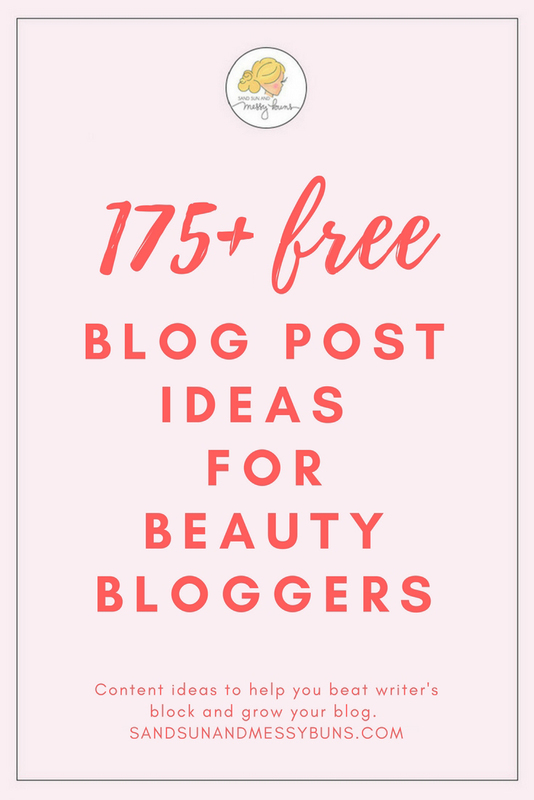 If you find these beauty blogger post ideas helpful, please share this image on Pinterest. Take a quick peek around Pinterest, and you'll probably notice beauty pins everywhere. Since the site is so visual, it makes sense that girls head there to find the latest makeup techniques, beauty trends, and hair tutorials. But what should you pin? Here's a list of topics you can write about next time you're low on ideas. How-To's are a solid hot topic. Solve a problem your readers commonly experience and they'll love you for it. Makeup dupes (drugstore makeup products that mimic premium brands) are always popular. 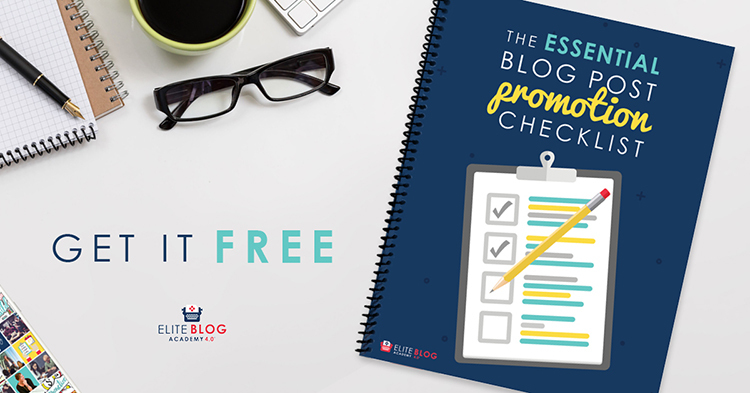 Instant Download: This helpful checklist tells everything you should do to promote your next blog post! Makeup junkies love to discuss products. New products, old products, trending products, product reviews…they all get the clicks. Trending topics are highly shareable and run the chance of going viral. If you're a trend spotter — or even a trendsetter — then I highly recommend writing a post about your favorite current trend. Is (insert product) Worth the Hype? Tutorials are the bread and butter of the beauty industry. There's a never-ending supply of newbies seeking instructions about how to do almost anything, from applying eyeshadow to purchasing the perfect set of false lashes. Skin care is an issue at any age, so it's a topic that always receives high traffic. As mentioned in the intro, I wouldn't go too crazy sharing personal info online, but it's good to give readers some insight into your world. The following topics allow you to do just that, without revealing too many personal details. After receiving TONS of requests from you guys, I've added 100+ more titles that include hair post ideas and more general health & beauty topics, too. I combined them all into a printable 3-page PDF and added them to my free resource library!! Join my email list to gain access to my free resource library, which contains this 3-page printable plus a helpful bonus SEO cheat sheet! If that's not enough, there are lots of additional lifestyle blog topics in this FREE list of 120 Awesome Blog Post Ideas from Elite Blog Academy, which is available for a limited time only. 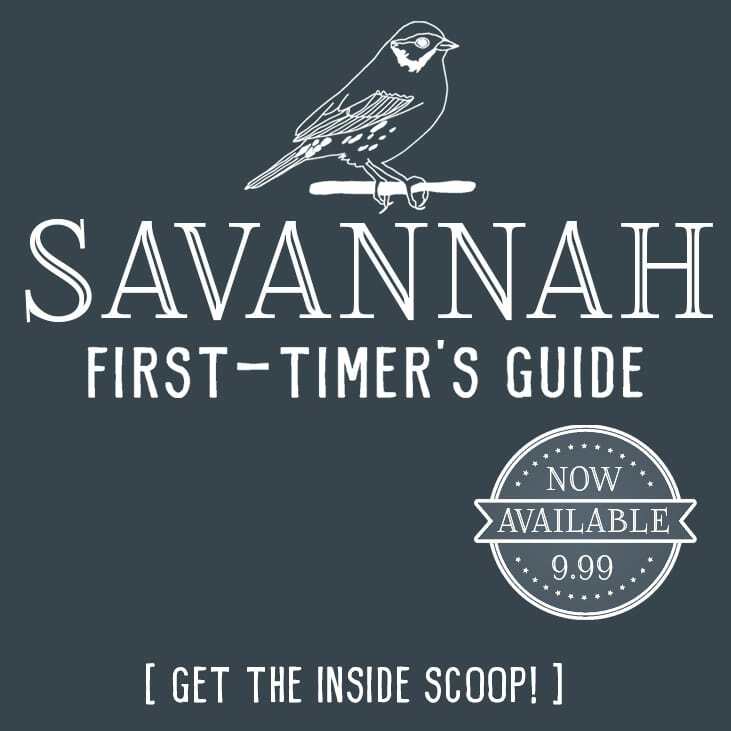 With it — plus the ideas listed above — your editorial calendar for the entire year will be full in no time! 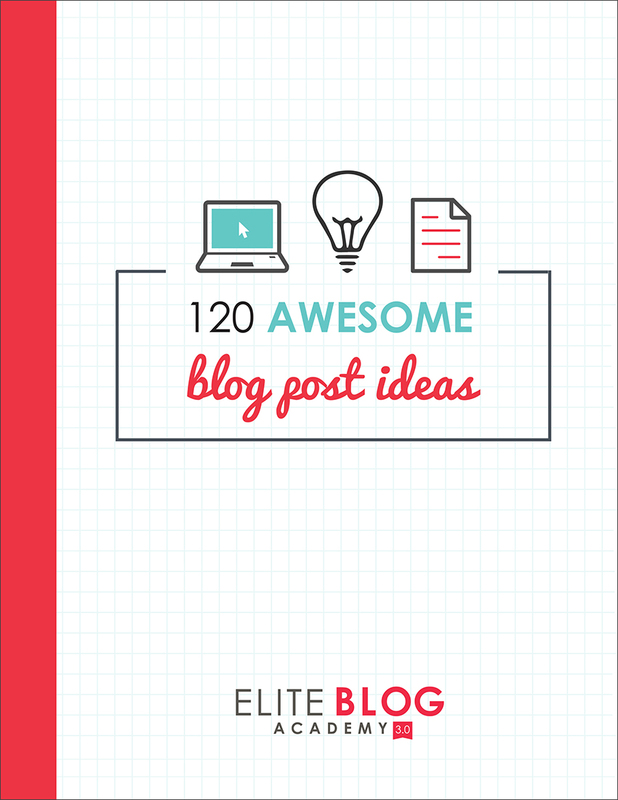 ﻿Download your free copy of 120 Awesome Blog Post Ideas from Elite Blog Academy. Looking for more free blogging resources? Try these helpful free guides: Blogging for Beginners: 9 Free eBooks for New Entrepreneurs. SUCH a good list of inspiration, especially as I finish up my quarterly editorial calendar – so helpful, girl! Being a beauty blogger this is super helpful, pinning it for future reference, your ideas are really good! Yay, happy it helped. I always love seeing your posts pop up on my Pinterest feed, so now maybe I’ll see a few of the ideas mentioned above. 🙂 Have a great weekend!